Get a restful sleep with our aromatherapy pillow mists made of 100% natural essential oils. 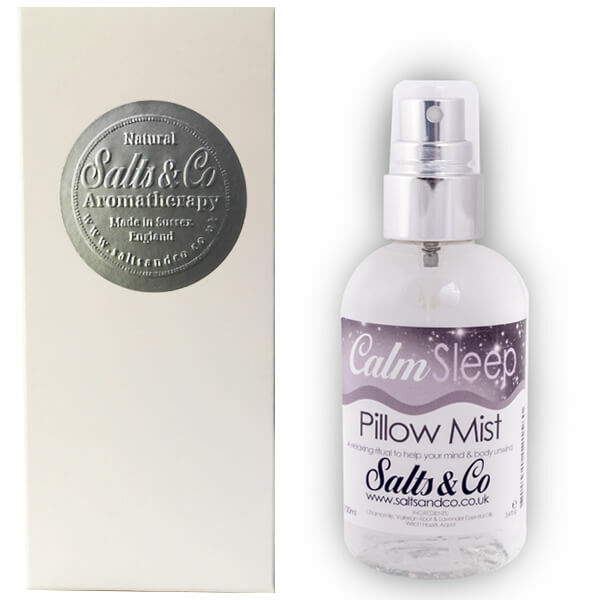 just before bedtime to create a calming atmosphere that promotes relaxation and well-being. 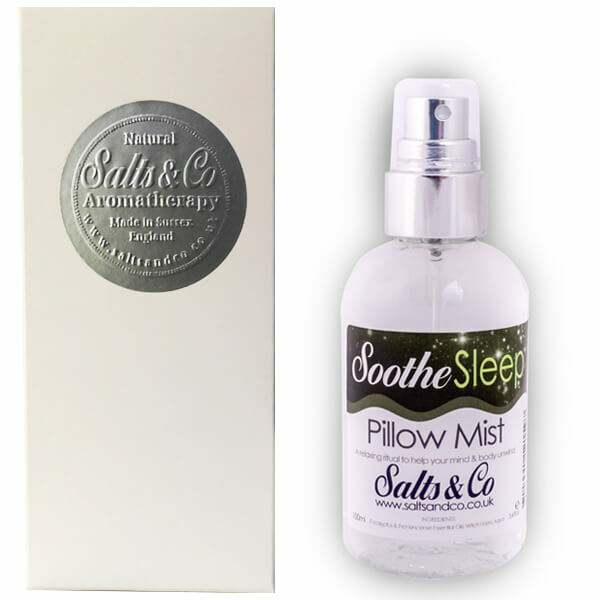 Lavender & Bergamot pure essential oils. 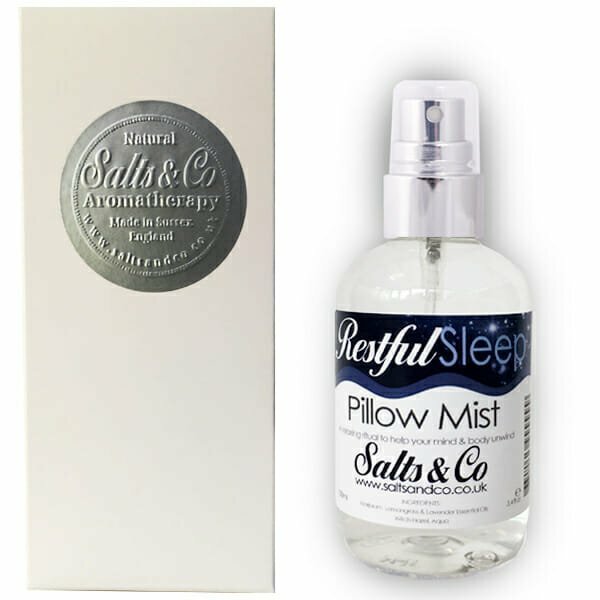 Eucalyptus & Frankincense pure essential oils. Ylang Ylang & Rose pure essential oils. 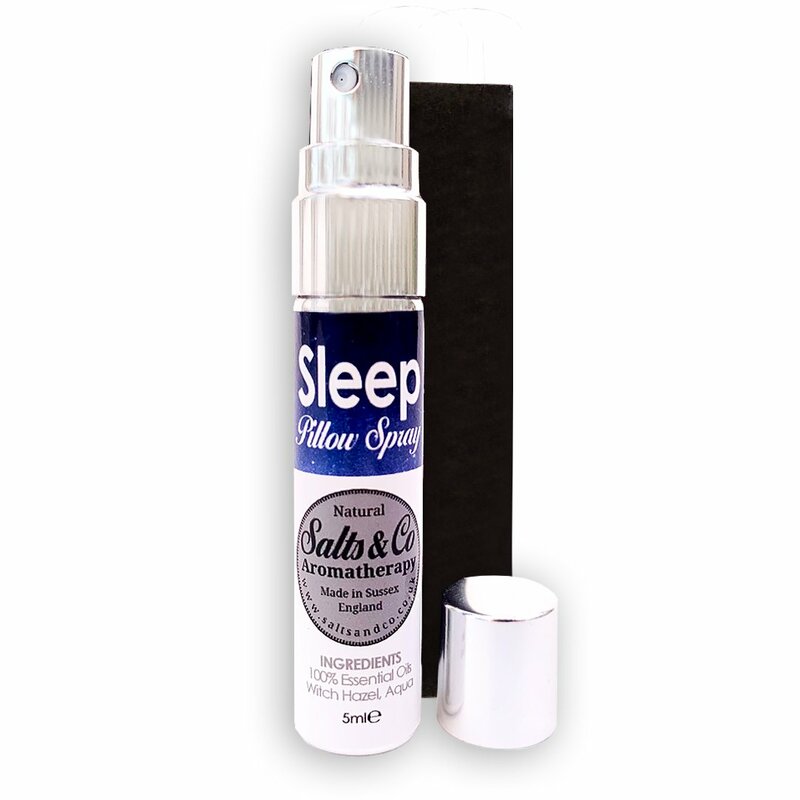 Chamomille, Lavender & Valerian pure essential oils. Neroli & Cedarwood pure essential oils. Marjoram, Lemongrass & Lavender pure essential oils. Look after yourself, listen to your body. If you feel tired during the day, stop for a little bit and try to relax using mindfulness methods. Your bedroom should be clean and feel cool. Nothing feels better than going into a fresh and clean bed. Your mind needs to switch off from all the events of the day to allow you to start to relax and drift peacefully. 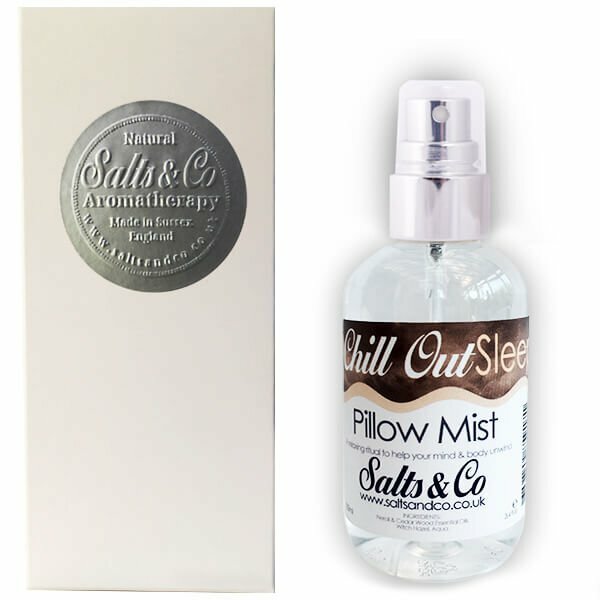 Salts & Co travel pillow mist is the perfect companion to pack when going away. 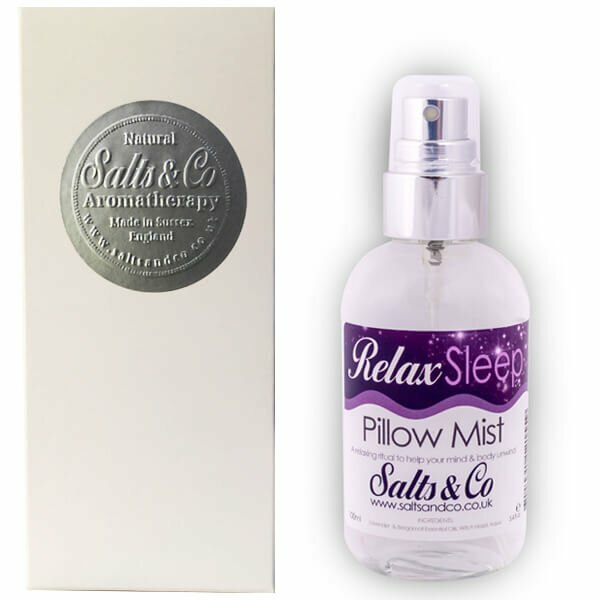 This handcrafted blend of Chamomile, Lavender and Patchouli 100% natural essential oils will help you relax, ease tension and aid you fall asleep.